Ready for one smooth ride? 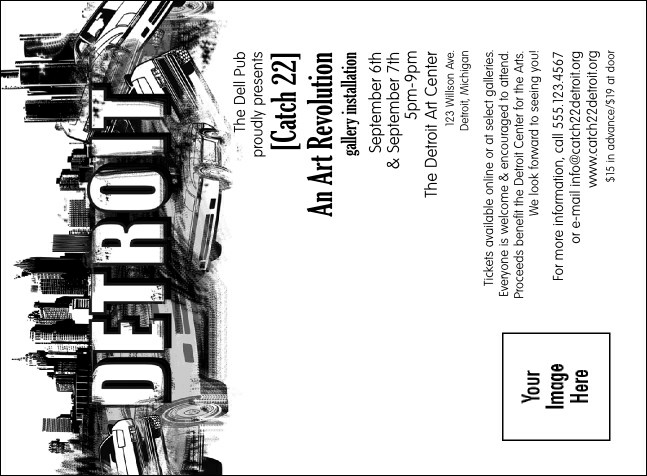 Engineer your next event down to the smallest details with matching publicity materials for Detroit, Michigan. This Detroit Invitation is printed economically in black and white with an automotive theme and a skyline in the background, plus 19 lines of your own custom text. What you want—baby, we've got it at TicketPrinting.com!